First things first: I have changed my TSP allocation (and transferred existing balances) to 50% C Fund, 50% I Fund. More on that below. 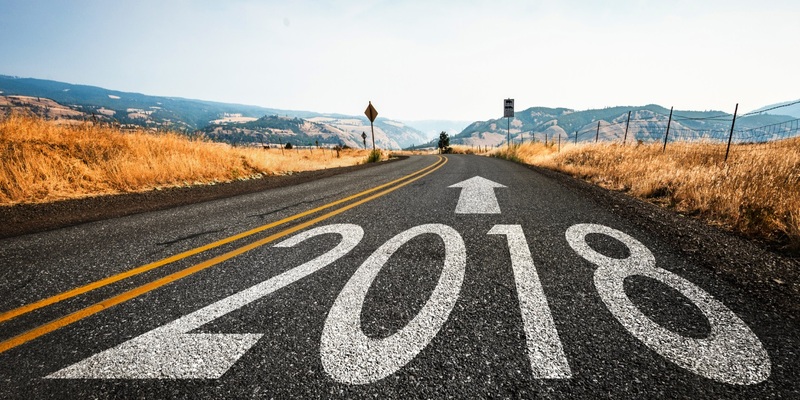 In this post I will run through a few of the investing rituals I go through at the beginning of every year, take a quick look back at 2017, explain why I am making the allocation change, and talk about the risks and potential for the year ahead. In the next few days, I hope to get out additional posts about (1) what I will be investing outside of the TSP this year and (2) my recent adventures in crytocurrency speculation. I am going to try to be a bit less verbose this year and keep these posts to a more manageable size. That will help readers get through them, and will make it more likely that I will get them out on time (particularly as we get closer to the baby arriving). If you find that means I have skimped on detail and you have questions, please don’t hesitate to ask in the comments or on the message board. And before we get into the substance, thanks very much to all of you who helped the website and community grow in 2017 by sharing with your colleagues, sending me suggestions and making donations to defray expenses. It sounds complicated, but if you already have a brokerage or Vanguard account it will take about 15 minutes from start to finish. (If you don’t already have investment accounts outside the TSP, I strongly recommend Vanguard.com). result: you now have $5500 to invest on which you will pay no taxes on gains, you can withdraw your principal (the $5500) at any time with no penalty, and you can withdraw gains prior to age 59 1/2 to buy a home or for higher education expenses (which is why you always fund your Roth IRA before a 529 account). If you have the money to do it, you can also still do the same thing for tax year 2017 until April 15, 2018, so you can get your Roth off to a five-figure start. If you look back at last year’s post (A Look Forward at TSP Investing in 2017), you will see that I got a few things right (the C Fund outperforming all of the other domestic funds, the US avoiding recession, and the circus in Washington, DC not having a real impact on the stock market). And a few things wrong (the market grew much more strongly than the “mid-to-high single digit returns” I predicted, we saw a lot less volatility than I expected, and the TSP I Fund didn’t fall apart as a result of the UK’s vote to exit the EU). In my defense, I did say in last year’s post that I thought the I Fund could potentially perform as well or better than the C Fund, but that their valuations were similar so the added risk didn’t make sense to me. But I’m not really feeling defensive – last year turned out pretty well. An interesting aside about that 21.8% return for the C Fund – that is almost exactly the average return of 21.5% for the S&P 500 in bull market years. We all know by heart that the S&P 500’s average annual return is about 10%, so we make that our benchmark and predict slightly higher for good years and slightly lower for bad years. I do it too. But that isn’t at all what has happened historically – we should expect much, much higher returns in bull market years, and much, much lower returns in bear market years. And that’s why it is so important to be out of the market for as many of those bear markets as we can. The stock market goes up two years out of three. Eliminate the years when the US is in recession and it gets much better than that. All indications are that the US and other developed markets will avoid recession in 2018. Without a recession, the stock market will in all likelihood end the year higher than where it started. As with last year, from a price to earnings ratio perspective, right now the US stock market doesn’t have a lot of room to grow (meaning the market’s current P/E is well above average), so it is hard to imagine that we will do as well as we did last year. But that’s what I said last year and the market powered right through those worries. The corporate tax cut could give a little bit of relief to those high valuations as that gets factored into earnings over the next few quarters. I certainly expect that we will see more volatility this year than we did last, which was extraordinarily smooth. It is almost as if so many outrageous things happened in 2017 that nothing mattered and everything which typically would have caused the typical 5-10% declines was ignored. As at the beginning of every year, I will confidently predict we will see four or five 5% corrections, and probably a 10% correction at some point (because that happens pretty much every year). With history as a guide, I am convinced the timing of those corrections isn’t predictable, and that the market will recover and move higher in each case within a matter of weeks. In 75% of years in which the market goes up, the market drops below break-even during the first quarter. So with all of that together, I think there is an excellent chance we will see a 5% to 10% correction at some point in the next two months. But I won’t try to game that – if I held money out and waited for a drop, the market would inevitably go on a strong run and leave me behind. Trump dominates all talk of risks to the global economy right now with his rhetoric on trade, particularly with attacks on China (our #1 trade partner) and NAFTA (our #2 trade partner (Canada) and #3 trade partner (Mexico)). But the markets appear to be tuning the posturing out and looking at the actions coming out of DC. Or rather the inaction – while the US withdrew from talks for the Trans-Pacific Partnership, it hasn’t touched any of the existing trade agreements we have in place. Imports from China increased by $32 billion in 2017, and imports from Mexico and Canada soared as well. It is certainly possible that the administration will slap tariffs on a few Chinese products to rally the base or benefit a favored industry, but the stock market is the one thing they can really point to as a success amidst all the other turmoil, so I don’t think it is likely they will take a chance on putting a stick into the spokes by pursuing real change in that area. In contrast to the US, Europe is earlier in their recovery, economic expansion is accelerating, and unemployment has room to fall. Supportive central bank policies – the ECB says monetary stimulus will continue until at least September and the Bank of Japan appears unlikely to change targets until 2019, whereas the US Federal Reserve is actively raising interest rates. Declining political uncertainty in Europe, both within countries as well as internationally on the Brexit front is leading to greater business and investor optimism. A very competitive euro helping exports. On the domestic side of the house, large cap stocks (the TSP C Fund) will typically outperform small and medium cap stocks (the TSP S Fund) at this stage in the business cycle. Last year I got into a long discussion about the relative valuations of the C Fund and S Fund before making the decision to stick with that historical trend, but right now the weighted average P/E ratios of the C Fund and S Fund are within 0.4% of each other so that is not a factor. Small and medium sized companies may benefit somewhat disproportionately from the tax bill because they are actually paying something close to the listed tax rate, whereas the effective rate of the huge multinationals which make up much of the TSP C Fund is much lower. But I don’t see that potential advantage outweighing the large cap’s historical outperformance in this phase of the business cycle. It’s also worth noting that I have a sizable share of small/mid-cap ETFs in my other investment accounts, so S Fund equivalents are well represented in my overall portfolio if they do take off. Everyone’s circumstances are different, so someone who doesn’t have exposure to that sector of the market might put more thought into allocating some of their allocation to the S Fund than I did. Even if I didn’t own those S Fund equivalents, however, I would probably not be in the S Fund right now – I don’t still own these small cap funds because I think they will outperform large caps, but rather because they are in regular (non-tax advantaged) accounts and if I sell them I am going to have to pay a lot of taxes on my gains. Conclusion: I believe that the I Fund will outperform the C Fund over the next twelve months, but not with enough conviction to go to 100% I Fund. When I was younger I might well have gone all-in on the I Fund in these circumstances, but perhaps I am feeling a bit conservative under the weight of impending parenthood and so have set my TSP contributions and conducted an inter fund transfer of existing balances to 50% C Fund, 50% I Fund. Please don’t ever forget that these allocations are based on my circumstances and the strategy which I have chosen to employ. Your circumstances may be very different and my strategy may not work, so I encourage everyone to read widely and consider a range of different viewpoints before making investing decisions for themselves. In my next posts I will find some time to talk about how I see investing outside the TSP in the coming year as well as discuss my recent limited foray into cryptocurrency gambling. In the meantime, I don’t ask anything except that you share the site with your colleagues so we can continue to expand the community of feds and service members helping each other in a free, transparent, no-pressure environment (although if you want to, you can donate to support the site here). You can help by telling the person sitting next to you, linking to this site from your own webpage or blog, liking it on Facebook, sharing on Twitter and in other investing forums, or actively participating on our Message Board. So if you found this post useful, please share it with your friends and colleagues using the email and social sharing buttons below right now. Thanks! Excellent. I had already moved 20 percent into the I fund and I am glad to see you confirm what I have been hearing from many of the experts out there. Thanks so much for posting these, . I have learned so much just in the past month from here and elsewhere. Have a happy new year and congratulations on the upcoming baby. Love this site… really appreciate what you do for us. I’ve followed you for about 5 years and you have a very logical approach to the TSP and you’ve been mostly correct which isn’t easy. Moved from 100% in C to 50% C and 50% I as you have recommended. From inception until around 2014 the I fund was worth more than the C fund and many times more than the S fund. I am hoping it will make up some ground this year. Great site. Thanks Paul. You confirm what I’ve read elsewhere. You allude to the phase/stage of the business cycle without mentioning what you think it is. Have we changed stages, or are we about to. I’m reading some pundit thoughts that indicate we may be moving into the late phase. Thanks. Paul, I really enjoy your website. Got a question. In your post you state “a Roth IRA is a better vehicle for your money once you have contributed enough to your TSP to capture all the employer matching you are eligible for.” So if I get 5% matching, I should only contribute 5% of my salary to TSP? And then put money, $5500 max let’s say, in a Roth IRA? In some situations that might make sense. TSP has super low fees, but a Roth has virtually unlimited investment options and more flexibility for withdrawals for qualified purposes. I’m glad I have both. What if you do not receive employer matching? At what point does a Roth IRA (e.g. with Vanguard) make more sense than contributing to the Roth TSP? If you don’t get matching (or once you are beyond the amount you need to contribute to get full matching), the only advantage the TSP might have is lower fees (although if you are investing directly with Vanguard their fees are extremely low). So in many cases, the Roth IRA will make more sense for all the reasons discussed above. Ideally you will eventually reach the point in your financial journey where you will be maxing out both your TSP and your Roth IRA so you don’t have to make that decision. I disagree that “the only advantage the TSP might have is lower fees.” The biggest difference between the TSP and an Roth IRA (or Roth TSP for that matter) is whether your pre-tax dollars grow tax deferred (TSP) or after-tax dollars grow tax free. In other words, do you pay your taxes now or later? For those expecting they’ll be in a higher tax bracket in retirement than now, e.g. those just starting out in lower-paying positions, it’s to their advantage to pay the taxes now and invest into a Roth IRA. Those in a higher tax bracket (I would say 24% and above marginal tax brackets for 2018) are generally better off deferring the taxes until retirement (when they might also be in a lower tax state, e.g. FL vice NY). Both the TSP and Roth IRA are crucial parts of our retirement, the key is to understand how to best use each – they are very much complimentary, and the right mix of the two in year one of your career probably isn’t the right mix 5, 10 years later. Sorry if my comment above was unclear. I was responding to a very specific question in the comment above mine in which the poster asked “At what point does a Roth IRA (e.g. with Vanguard) make more sense than contributing to the Roth TSP?” So I was really just comparing withdrawal options between a Roth IRAs with a Roth TSP. As you point out, the decision as to whether to invest in a traditional or Roth vehicle is definitely a much larger subject. Paul, you correctly described the backdoor Roth process, but anyone contemplating the execution of this process needs to be aware that there is a major item that must be considered first. It deals with Internal Revenue Code Section 408(d)(2), the IRA aggregation rule. When determining the tax consequences of an IRA distribution, including to a Roth IRA, the value of all existing pre-tax IRA accounts will be aggregated together for the purpose of any tax calculations. This may severely limit the amount of money that is actually converted tax-free. Articles with examples of what could happen are available online. For anyone with existing money in pre-tax IRAs, please use due diligence. Definitely. The back-door Roth is just for new money. I would not be inclined to convert traditional IRAs with years of gains already accrued. Sorry Steve – I completely missed your point in the first comment. I didn’t have existing Traditional IRAs with deductible contributions when I started doing the Roth conversions, so I have never looked that aspect and it didn’t occur to me to address it in the post. I will add a note up above to make sure that anyone in that situation is aware of the issue. Thanks very much for the explanation! Thanks for what you do! I have the money to fully fund my back door Roth IRA and thinking about whether I do it in lump sum (I do that most years to maximize the time my money is working) or dollar cost average this year (since this year could be up and down – I agree with you on that). Thoughts? When I think the market is generally trending up, I won’t try to dollar cost average in. I just put it to work. Would you say, generally, it is better to strive to max contributions to the normal TSP or reduce contributions by $5,500 and fund a Roth IRA. And if that is a good idea, why not just reduce normal TSP and fund Roth TSP? A fair number of people do just that for the flexibility provided by the Roth both for investment options and withdrawal options. I like having both and if I couldn’t max both out, I would seriously consider putting some of my money into a Roth after I made sure I was getting my full matching. This is where I’m at. I got the full TSP match, then maxed out the Roth IRA. Now I’m slowly bumping up TSP contributions as step increases happen and/or expenses go down (no more daycare!). I’m planning on using the IRA for the kid’s college fund or I’d probably be all-in the TSP. I’m fairly new to this site but I must say, since I’ve been reading and switched to 100% C fund it has made a huge difference 🙂 My question is, when you change allocations do you always transfer existing balances as well? I do always transfer existing balances to match my contribution allocation. Thank you for all the work you’ve put into this site, and your clear writing and explanations. Business cycle investing is a new paradigm for me, one that really makes sense. Re: large cap stocks, what are your thoughts on growth vs value for 2018? Thanks! That’s not something I have really looked at recently, but a Morgan Stanley guy I follow and typically agree with on most things says that there should be a tilt towards value, FWIW. Thank you! That’s the impression I’ve been getting from my reading too. When you set allocation 50% I and 50% C, do you also do interfund transfer to rebalance the account or do you only adjust for future contributions and leave current balances as is. I do match existing balances to contributions. And if the balances ever get too out of wack, I will go back every six months or so and rebalance again. Hey Paul. Your site was recommended to me about a year ago and I became a fan after reading a few articles. I have only just started getting serious about dumping into my TSP but have been playing around in my IRA conservatively for years. Thanks to your advice and my growing TSP I feel more confident about my IRA “risks.” I still feel young so I will jump in at 25/75 C/I ratio. Thanks for the articles! I currently have 2 TSP accounts one Military and one Civilian. My military one I moved 100% into I fund with 100% contributions there as well (Reservist). My civilian account I went a bit more aggressive then you recommended in this article with 75% into I fund. 11% into C fund and 14% into L 2050 fund. I have not Hit my first 10 years of civil service so I feel that I can be far more aggressive with going to I fund compared to your recommendations. Do you think I am wasting time and funds on purchasing L fund shares? Or should I put that money into C and I. Thanks for the work you do! Definitely don’t make any decisions based on what I think, but I just haven’t had any use for LifeCycle Funds. I wont want to own the G Fund or F Fund in a period in which I believe the stock market is likely to go up, so that hedge doesn’t hold any appeal for me. Do you have the link for the Vanguard brokerage form for converting to a backdoor Roth IRA? I love this website! Taught me a lot and I like how you explain the logic behind decision making! Thank you! New subscriber here! I am curious, I don’t make enough to deposit maximum tsp contributions, I have 10% of each paycheck being deposited into a traditional TSP which accounts for about $640/month. Should I actually be doing 10% of each paycheck into my Roth TSP? Or do we not get matching contributions unless it’s deposited into the traditional TSP? I also have a 529 for my son with USAA, you’re saying I should instead roll this money over to a Roth IRA? Congrats on pending fatherhood. When is the due date? Paul, awesome write up I agree 50% into C Fund and 50% into I fund, I gave it some thought and towards the last part of your article where it says that you are going to be more conservative because of upcoming parenthood and if you were younger you would go all in 100% into I Fund… I went aggressive and did 100% into I Fund with 100% interfund transfer to I Fund. do you think that is wise or should I stick with my gut and also your statement of 50% C Fund and 50% I Fund? Wow, what a great site and thanks very much. Your work is much appreciated. I’m a few years from retirement so maybe a bit aggressive (for my sanity), but I know deep down your allocation is probably correct. I had 100% C Fund from 1992-2010. I just need to ease back to 80-85% equities for now, but your guidance is very helpful and will distribute to C and I. Awesome advise! I found your webpage by total accident and really glad I did. I’m 34 and have just started my civilian Federal job. I’m as miltech so I’m also a reservist. Have you had a chance to see anything on the new Blended Retirement for service members now? biggest thing is the TSP is going to do the same as the civilian side, making up to 5%. I plan on being in the federal system as long as they will keep me! I’m in the grey area where I have a do or die decision to make. The civilian side I’m WL9 in the DC area so my TSP is covered on that end. the Army on the other hand I have a lot more growth to go and feel the high 3 legacy won’t give me nearly as much as the BRS would even with the .5% change in retirement. What are your thoughts on that? Is it too late to do 50/50 C & I? I don’t think so, Paul’s moves are for months at a time usually. Nothing has happened over the last week to change the outlook. So, I am very much a novice to everything here. I’m 29 now, and have been very persistent about getting all of my ducks in a row now as far as retirement. This roth IRA intrigues me, particularly the part about using it as a down payment on a house. I just want to make sure I read this correctly. So I could invest 5500 right now into a roth IRA, and possibly withdraw the lot of it (with tax penalties aobove the initial amount) to use as a down payment for a house in say 2 years? I’ve always been told it is better to just save manually for a house. Can someone please enlighten me? There are two ways to withdraw for a home purchase. The first is to withdraw your contributions (that $5500 you can put in every year). You can always withdraw those without penalty at any time, because you have already paid taxed on them. That’s probably what you would do in your situation. The other is a qualified home purchase withdrawal. To do that, the Roth IRA account has to be open for at least five years, after which you can withdraw up to $10,000 of gains without any penalties for use in buying a home. The pros will tell you to never touch your retirement funds to buy a house ( or for any other reason except retirement). This is because you are reducing your retirement funds and putting your retirement at risk. Just keep putting money into your retirement and save separately for your house!!!! I have been playing it safe for the last few years and missed out on a lot of growth, would it be wise to switch all existing funds into 50% C and 50% I ? That’s a decision you have to make after you read an consider all the different information out there. After your research, if you think the stock market is going to go up, then yes – you should probably be in the market. I max out my TSP every year including the additional over 50 bonus. We currently make too much money for the tax advantage of a Roth IRA, can I still start a back door one and contribute to it? What effect would it have on my taxes? Yes you can. No effect on your taxes in the year you create them unless you have gains or losses in the non-deductible traditional IRA before you convert it to a Roth), but when you withdraw down the line the gains will not be taxed. Brilliant! The sell off seems like a reasonably typical correction to me – no real cause, just getting valuations back to a slightly more reasonable level, maybe a little larger than average because it has been so long since we have seen one. No impact on my Thrift Savings Plan allocation. I bought some things on sale today in anticipation of a rebound in the short term. So I should not move my allocations back to the G fund at this time? The sell off has left me wishing I had some money in the G fund so I could take advantage of this buying opportunity but alas I cannot. I have been fully invested in the equity funds, 70% C 15% S and 15% I for the last 18 mos. It’s starting to feel real bad with the market going so far down this last week. Just another correction… right now we’re nearing a 10% er. Seems like more when you see a 2200+ point drop. We are way overdue for a 15-20% correction so stand fast. You only take a loss if you sell. You still own the same amount of shares you had before the dip. its going to take a lot to match 2008-2009 and the fundamentals today do not in any way indicate that kind of a drop. Lets not forget everyone who stood fast during the last recession made all their money back in less than 2 years. The market is higher today than the last down turn and I believe we will be even higher 2 years from now. Since the WH is looking to get rid of the G fund would it be wise to move my G balance (old money) to the F fund? I realize the F fund is a bond fund and it will depend on interest rates whis will probably go up this year. I plan on retiring in 2 years at 62. The White House budget is really just a messaging statement – nothing in that actually goes into the real budget without congress enacting specific legislation to make it so. While it is possible that provision could make it into the actual 2019 budget, that is a long time away and a decision we can make when it happens, not something I will worry about now. A lower TSP G Fund interest rate probably won’t have much impact on when I choose G vs F.
I have a split between the c fund and g fund. if i allocate from one fund to the I fund, do i lose money? There is no cost to move money from one TSP fund to another, so you will have exactly the same amount of money after the transfer is complete. In light of the brand new inflation numbers (half a percent in January, yikes!) has anything changed in your outlook? Not at this point, but that does make the Fed more likely to raise rates and that will pull some money from stocks into bonds, so could slow the stock market a little. That is a step closer to a change in the phase of the business cycle, but not there yet (in my opinion). Your website is great. Wish I would have looked for it 6 years ago! I’ve just turned 63 and have been a civilian employee for 6 years. I plan on retiring at 70. I wasn’t diligent for the last 6 years so, all of my TSP has been in the G fund. At the beginning of the year I sort of wised up and looked into what changes I needed to make to try to maximize TSP funding. A great deal of literature recommends changing to an L fund and for now, I’ve changed my allocation to the L2030. Since making that move, I’m finding input suggesting the L2050 which relies less on the G fund in the mix. Now, after looking checking out your site, I’m wondering if it would be advisable for me to consider a little more aggressive allocation strategy to catch up and maximize things for the next 7 years. I know this is a lot to digest. I guess I’m looking for advice or a recommendation for a contact that might be best able to help get me sorted. All L funds are generally automated versions for what Paul has described over the years. By utilizing the L 2030/2050 funds, you essentially miss out on opportunities of transfer. I had averaged near 8% rate of return in my L 2030/2040/2050 collectively between 2013-2015. It was automated an easy. I had gotten out of the military and was no longer able to contribute to my account which led me to reevaluate my “conservative” approach. After much research (having found this website for the first time today), I had decided that the climate for C Fund and I fund would inflate. I was able to increase my rate of return to 21% over the last year. This “aggressive” approach does come with some risks, however I saw them as more of a short-term risk as opposed to long-term. In the short prices fall below resistance and may effect short-term gain and longevity, however historically speaking each fund tends to correct above negative interest. I basically acknowledged the fact that a 3% loss was worth the risk of a possible 15% gain. I turned out to be correct. For your specific case, I would definitely consider taking more ownership over your earnings but this requires diligence and attention. Just know that the market breathes (inhale/exhale), and when there are massive trends the risk for loss only increases. Yet, given the current economic climate, I will stay 80% C Fund. If you are capable of withdraw, request to see how much you would lose for early withdraw. Compare this number to your overall contribution. If you have contributed more than you would have received, there is essentially no risk. For example, a while back i had contributed a total of 40,000 and had sought a withdraw. After all of the fees and taxes were deducted my total withdraw would have been approximately 28,000 (granted it was an emergency withdraw which comes with more fees). Essentially this meant I would have been better off holding my money elsewhere. I virtually would have lost 12,000. This means that I am already exhibiting loss while my account was gaining. I had only one choice, take the jump and be a bit more aggressive as sitting around waiting for the account to mature was a lackadaisical approach. If you were to do an emergency withdraw today, this would essentially be you “Actual Present Value” or APV. If you APV is less than your overall contribution I suggest taking more control. As you are only 7 years from maturation, I suggest maintaining a large portion of your investment in docile funds for security, but to be aggressive with 40% of your account would not be a bad recommendation. Only 40% if your APV is above your contributions. Okay – the Feds just made their first interest rate increase…and are planning (hinting) for at least 2 more this year…does this change your 50/50 plan? Nope, nothing unexpected there. Rates would have to go a lot higher to start siphoning significant money from the stock market. With the market doing what it’s doing, allocations still staying the same? Oh, sure. I think this is just a little volatility – nothing which should impact the economy or earnings. Hi, I just found your site today. Great info Paul!!! I’m 5-10 years from retirement…. Been in L2050 for the last 5 years trying to concretively be aggressive 🙂 Catch up on many years only contributing 5%. (I like setting it and forgetting it. Thought the L’s would be the way to go). But, Looking only at the C is see that over the years it has done better than the L2050… And on the BAD years it was not much worse loss than the L2050. Thinking of going 100% C brought me here. (Similar to your C/I 50/50…. )… But… Your thoughts?